Mega Man is back for Super Smash Bros Ultimate, and he’s brought friends. 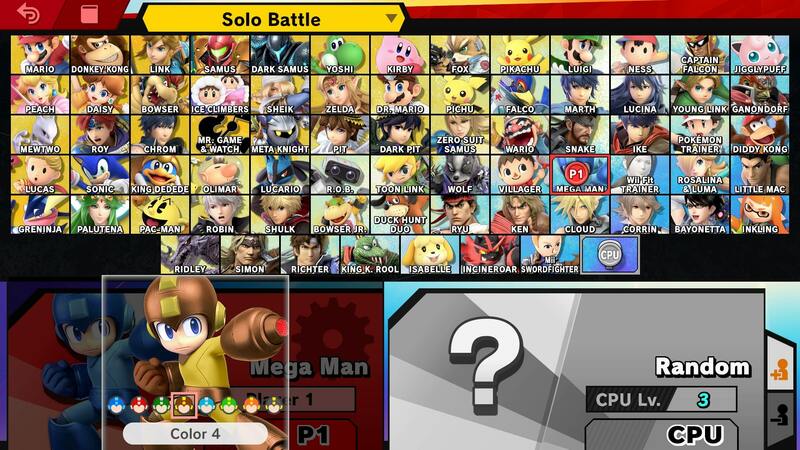 There are a whopping 74 characters to play as in Ultimate, with yet more set to be added as post-launch DLC. With all of those new faces, and with all of the tweaks that have been made to returning characters, we thought it would be good to detail every single fighter in Super Smash Bros Ultimate. In this Super Smash Bros Ultimate Mega Man Guide, we’ll be taking a closer look at Mega Man. More specifically, we’ll be detailing the changes that have been made since his last appearance, and taking a look at his Final Smash and Alternate Costumes. Mega Man has returned to Smash Bros, though considering he last appeared in SSB4, fans haven’t exactly had to wait long. He’s a formidable fighter, with handling similar to his first 3 outings. To help you get to grips with the Blue Bomber, we’ve listed some key info below. Definitely one of the worst characters in Super Smash Bros. Ultimate is Mega Man (sorry). In the table below, you can find a complete list of moves that Mega Man can use. Mega Man has gone through a bunch of changes since his last outing. He’s sporting a new look for his Final Smash, new animations, and several subtle tweaks to his moveset. Let’s take a look at the changes that have been made to Mega Man for Super Smash Bros Ultimate. Several of Mega Man’s animations have been changed including victory, jumpsquat, and final smash. Metal Blade does more damage. Dash attack does more damage. Leaf Shield can be thrown farther. 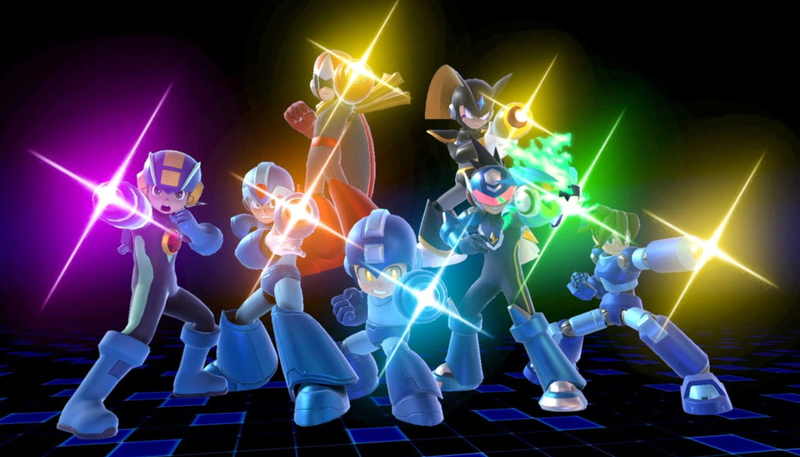 Mega Man comes with several Alternate Costumes for players to choose from. They are simple palette swaps of his default design. There are red, green, yellow, grey, green and yellow, yellow and orange, and yellow and black versions to choose from. You can check out the red version below. Mega Man still has the same Final smash as in his last outing. It’s called Mega Legends, and summons several characters from the Mega Man series. In addition to those who have featured previously, Proto Man and Bass have been added. You can see Mega Legends in the video embedded above. That’s everything you need to know about Mega Man in Super Smash Bros Ultimate. For more info on the game, head over to our Super Smash Bros Ultimate Guides Hub. There’s trailers, a full character roster, a look at the Ridley amiibo, and more.